Empower your event with us. Level up your events to the third dimension with our mobile 3D scanning booth. 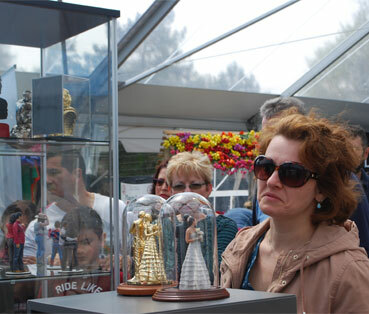 Our 3D mobile scanning booth is able to scan hundreds of people a day. It takes us just a fraction of a second to scan a person. 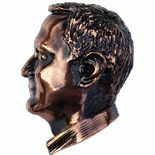 Make any event really interesting and unforgettable by engaging your guests in amazing 3D scanning process and demonstrating the possibilities of 3D scanning / 3D printing technologies. Every scanned person will get their 3D digital models absolutely free. The models are sharable through social media and are a good way for remembering the event. Get your physical 3D print, which is truely unique gift for you or those you love. The gift will keep memories of the day which will never repeat. 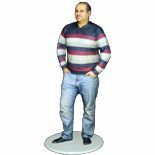 Add another dimenssion to the regular photos to get 3D full color figurines. Metal finishes that we offer make your sculpture be seen as piece of art. "3D Avatar had a great contribution to The Ottawa Wedding Show and impressed not only the attendants but the exhibitors as well. Thank you very much." 3D AVATAR 2019 © All rights reserved.